California is entering its sixth year of a record drought, but it's the long-term forecast that has experts worried. The forever drought could be the new normal. It's already affecting what you eat. Thousands of years ago, when the corpses of the last mastodons and sabre-tooth cats were still sinking slowly into the tar pits, what is now California would occasionally go through droughts that often lasted centuries. Now, a Canadian researcher who calls California home says it could easily happen again. In fact, it may already be happening. Glen MacDonald walks down a sandy path in a park near his house about 60 kilometres northwest of Los Angeles. The grasses on the hillside are straw-dry, a "biological tinderbox" according to MacDonald. He stops under the trunk of a withered oak tree. "It's lost almost all of its leaves already," he says, grabbing a branch. "It looks in very, very poor shape, it may very well be on its way out." 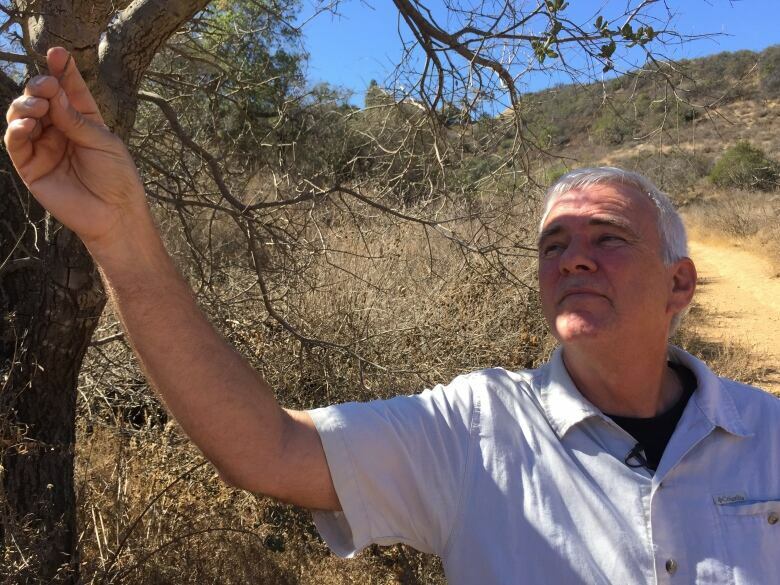 The UCLA professor has spent more than two decades studying drought in California. For his latest research project, his team headed to the Sierra Nevada mountains in central California and took core samples from the bottom of Kirman Lake. This allowed them to paint a detailed climatic picture of California over the last 10,000 years. He says it was exciting to see how the sections of sediment reflected climatic events that may have had repercussions as far away as ancient Egypt and Mesopotamia. But most troubling was evidence that in California's prehistoric past, rising temperatures locked the region into drought that lasted hundreds, even thousands of years. "Could that happen again now?" he wondered. According to his new study in the Nature journal Scientific Reports, the answer may be yes. High levels of greenhouse gases may replicate the conditions seen during periods of increased warming, causing California's climate history to repeat itself. "Drought becomes, in a sense, the new climatology. 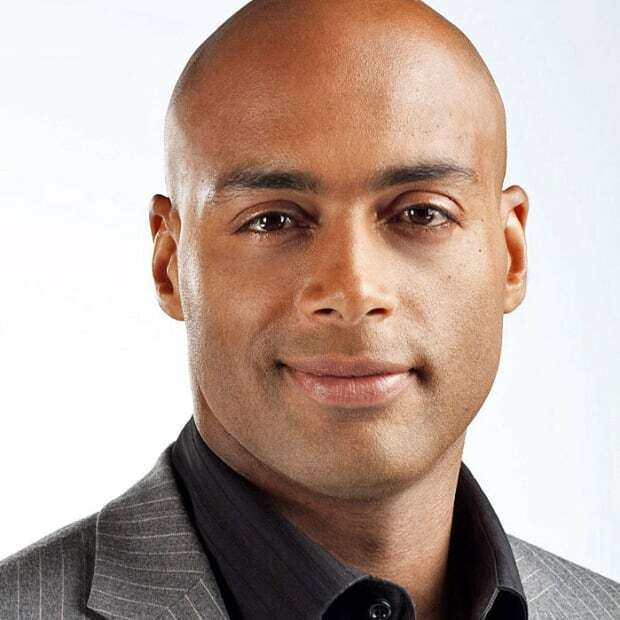 It becomes the new normal," MacDonald says. And that "new normal" could persist even if California goes back to receiving average levels of rainfall. "In a sense, the state is becoming drier because we are evaporating and losing that precipitation, that moisture from the soil and the plants at a higher rate. So based on temperature, we are entering a new, drier climate state." This long-term drought is already affecting the crops California farmers are choosing to grow and export to Canadian tables. "An almond is actually very similar to a peach or an apricot‚" says Daniel Bays, pulling an almond off one of the hundreds of trees in his orchard in Westley, Calif.
Bays is a fifth-generation farmer who grows apricots, melons and wheat, as well as the crop that has been most often vilified since the drought began: almonds. 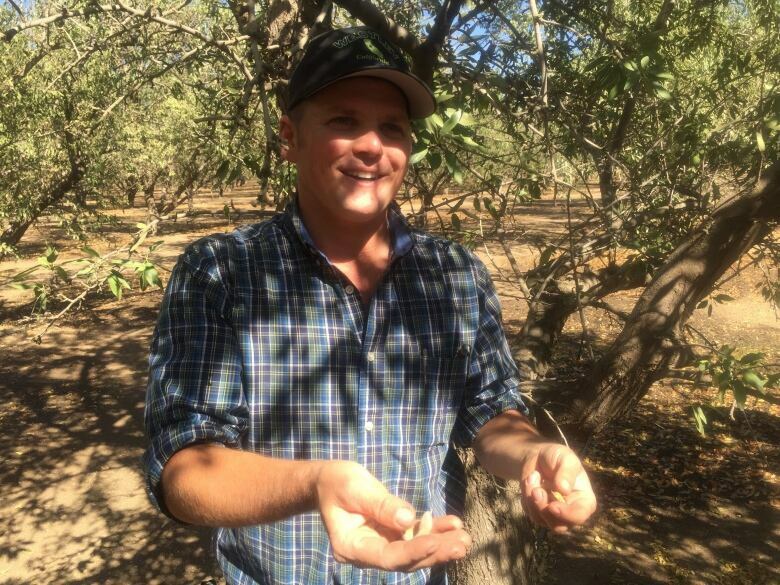 Bays acknowledges that it takes four litres of water to grow just one almond. So one might expect that in the increasingly dry Central Valley, almonds would be the last thing a farmer like Bays would want to plant. 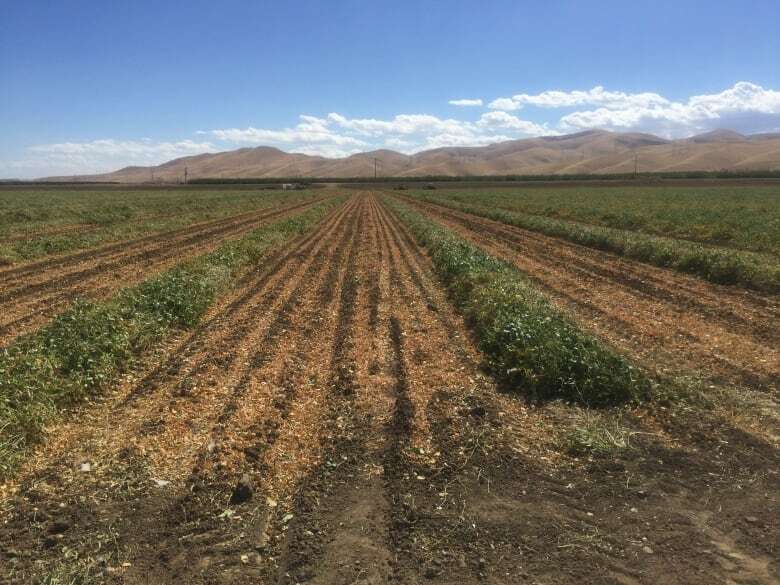 But here's the paradox: many California farmers are deciding to let their lower-value field crops die, and use what little water they have left on their expensive but water-intensive almond trees. 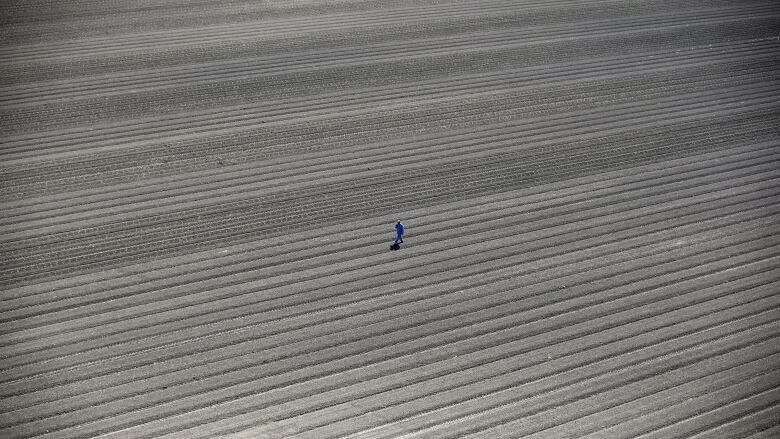 "Last year and the year before we left about 10 per cent of our total ground just unplanted just because we didn't have enough water to grow those crops," Bays says. " We've put more almonds and more permanent crops in because of those [water level] highs and lows. We have the higher-value crop that will keep us in business and keep us around. We could take the extra profit from that crop and spread it over a whole operation." But that may be a mistake, MacDonald says, because when the climate gets drier and drier, farmers can't fallow an orchard the way they could a field. "And so we lose the capacity in periods of extreme drought of shifting some of the water from agriculture to the cities, and then bringing it to agriculture when those dry conditions ameliorate." MacDonald believes farmers and consumers may have to re-examine what gets planted and eaten.